Year-on-year profit per room dropped by 5.6% this month as the wettest March in a decade, as well as unseasonal snow storms, added to the already challenging trading conditions for hotels in the UK, according to the latest worldwide poll of full-service hotels from HotStats. The drop in profit at hotels in the UK was led by a 1.4% decrease in TrevPAR, to £129.69, as declines were recorded across all revenue departments, including Rooms (-1.2%), Food and Beverage (-2.4%) and Conference and Banqueting (-5.5%) on a per available room basis. In the Rooms department, a 0.6-percentage point decline in room occupancy, to 75.2%, was further exacerbated by a 0.3% drop in achieved average room rate, to £109.91, which contributed to the 1.1% decline in RevPAR, to £82.61. As a result of the poor weather, it was demand from the leisure segment which was hardest hit, resulting in a 3.9% year-on-year decrease in rate in the Individual Leisure segment this month, as well as a 0.3% decline in rate in the Group Leisure segment. The revenue decrease was further exacerbated by rising costs, which included a 1.1-percentage point increase in Payroll to 29.2% of total revenue, as well as a 0.9% increase in Overheads, which grew to 23.4% of total revenue. Once again, the uplift in Overheads was largely due to an increase in Utility costs, which soared by 11.5% year-on-year in March, to almost 4% of total revenue, as the UK was blanketed in snow. At £5.15, on a per available room basis, Utility costs this month were more than 8% above the average in the rolling 12 months to March 2018. As a result of the movement in revenue and costs, GOPPAR at hotels in the UK fell by 5.6% year-on-year to £46.13 in March. This was equivalent to a profit conversion of 35.6% of total revenue. “Spring failed to materialise in March and instead it was replaced with heavy snow fall and bone-chilling temperatures as the UK experienced its worst winter since 1991. This had the double-whammy effect of causing a drop in top line performance as hazardous conditions meant the advice was not to travel, but also the bottom line was hit by high payroll costs, as it was way too late to adjust staffing levels, and the cold weather meant the heating had to stay on,” said Pablo Alonso, CEO of HotStats. One city which did have a positive performance in March was Birmingham, where hotels recorded a 12.0% year-on-year increase in GOPPAR, which was due to high demand levels in the city as a result of a number of key events. In addition to the city hosting the IAAF World Indoor Athletic Championships, which will be the biggest global athletics event of 2018, the NEC played host to a number of major exhibitions, including the Internet Retailing Expo and the British Tourism and Travel Show, which cumulatively attracted more than 8,000 attendees. As a result of the high demand levels, and in spite of the poor weather conditions, RevPAR at hotels in Birmingham increased by 10.1% year-on-year, to £75.59, which was due to a 0.9-percentage point increase in room occupancy, to 82.4%, as well as an 8.9% increase in achieved average room rate, to £91.71. The growth in Rooms Revenue was driven by an increase in the rate recorded in the Best Available Rate segment (+10.9%) as well as a surge in rate in the Individual Leisure (+11.1%) and Group Leisure (+9.4%), segments and was supported by an uplift in the Corporate (+8.1%) and Residential Conference (7.9%) sectors rates. The uplift in Rooms Revenue was supported by increases in Non-Rooms Departments, which included a 1.3% year-on-year increase in Food & Beverage revenue, to £31.88 per available room, equivalent to 28.6% of total revenue. This contributed to the 7.2% year-on-year increase in TrevPAR in March, to £111.59. In addition to the growth in revenue, cost savings, which included a 0.6-percentage point drop in Payroll levels, to 23.3% of total revenue, contributed to the 12.0% year-on-year increase in profit per room in March, to £50.24. This was equivalent to a punchy profit conversion of 45.0% of total revenue. In contrast to the performance of hotels in the UK’s second city, properties in the capital were having more of a torrid time, with profit per room plummeting by 8.8% this month, to £72.22. In addition to flights being cancelled at all of London’s major airports, events in the city were put on hold and tourists stayed away. 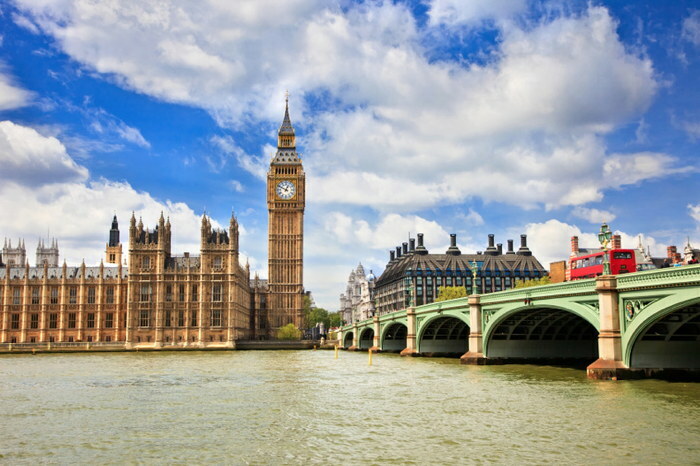 Whilst hotels in the capital just about managed to maintain room occupancy levels at around 80%, achieved average room rate fell by 2.9% year-on-year to £152.58; and as a result, RevPAR at hotels in London dropped by 3.3% to £120.83. Further declines in Non-Rooms Revenues contributed to the 3.2% decline in TrevPAR this month, to £172.60 and added to the challenges faced by hoteliers in the capital since the beginning of 2018. “The snowy disruption to trading is the last thing hotels in London would have wanted this month. Particularly as they are already trying to navigate their way through the choppy waters caused by the addition of close to 7,000 bedrooms to supply in 2017 and Q1 2018,” added Pablo. The decline this month means that hotels in London have suffered a 6.2% drop in GOPPAR in Q1 2018, to £60.50, which could continue the mixed period of trading following the profit drop in 2016 (-2.0%) and growth in 2017 (+5.4%).